PebbleCreek boasts two championship golf courses, the 18-hole Eagle's Nest and the 27-hole Tuscany Falls. 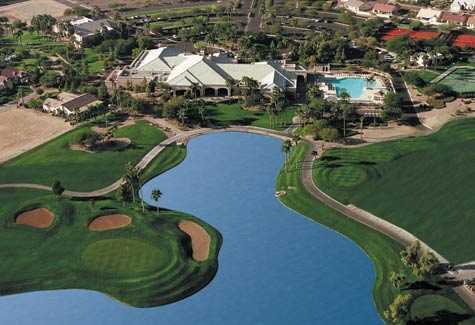 The Tuscany Falls course is divided into three distinct nines: the Palms, Falls, and Lakes. Each one has a distinct character and offers a different set of challenges. The Palms nine is the longest of the three at just over 3,400 yards from the back tees. PebbleCreek boasts two championship golf courses, the 18-hole Eagle's Nest and the 27-hole Tuscany Falls. 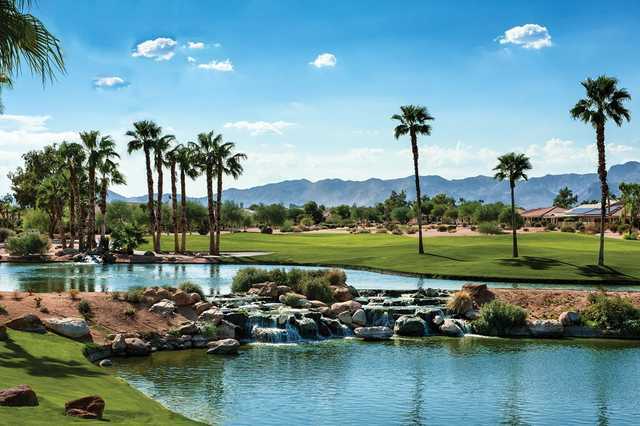 The Tuscany Falls course is divided into three distinct nines: the Palms, Falls, and Lakes. Each one has a distinct character and offers a different set of challenges. The Palms nine is the longest of the three at just over 3,400 yards from the back tees. Like on the Eagle's Nest Course, you'll come across several tough carries, but unlike the other course, the carries on the Palms are over lakes and ponds rather than desert areas. This nine also features rolling fairways and medium-sized greens, which are generally open in front but there is dramatic mounding along the back and sides. Throughout all three nine-hole golf courses, the bunkering is minimal but strategic.